This is a song that saw many people take their hats off in respect to the singer Wiz Khalifa. The song is recorded by Wiz featuring an American singer Charlie Puth. 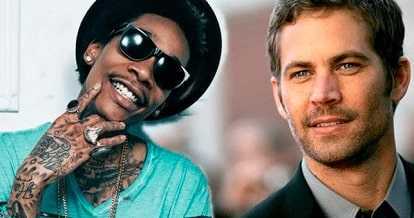 "See You Again" was commissioned as the soundtrack of the movie Fast and Furious and it was a tribute to the late actor Paul Walker. He died in an accident on November 30, 2013 in Valencia, California. before they started producing the movie, The Fate of the Furious. Before he released the song on March 10, 2015, Khalifa said that it was going to be one of his most successful years and he was actually going to work against that. “See You Again” became Puth’s and Khalifa’s biggest single to date. Most people knew Charlie Puth from this song and he has recently rose to fame from that. "See You Again" is a tribute of brotherhood for Paul Walker and it is all about how he had been a brother who was gone a little too early though their brotherhood with the fast and furious family was going to stick. After its release, the song spent 12 non-consecutive weeks top of the US Billboard Hot 100 and it also topped the UK Singles Chart for two consecutive weeks. In the United States, the song has the record for the most streamed song in a single day on Spotify. "See You Again" currently has more than 3 billion views on YouTube and it was the most viewed video on YouTube from July 10 to August 4, 2107. The track also received three nominations at the 58th Annual Grammy Awards: Best Pop Duo/Group Performance, Song of the Year and Best Sing written for Visual Media. It was also nominated for the Best Original Song at the 73rd Golden Globe Awards. According to IFPI, “See You Again” was the best-selling song of 2015 with combined sales and track equivalent streams of 20.9 million units.